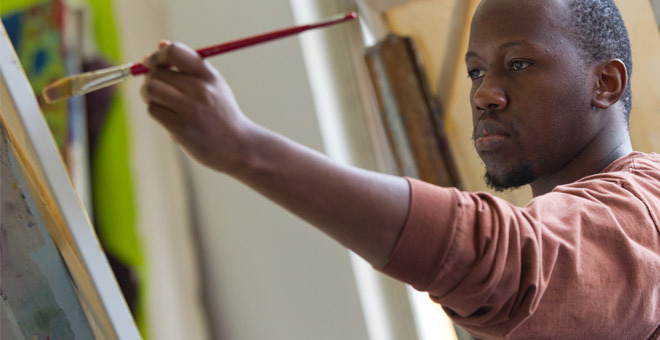 Artists, engineers, nurses... Black Scholars expand across a wide range of disciplines at San José State University. A community of students show flyers to their student organization during the annual student organization fair hosted by Student Involvement. 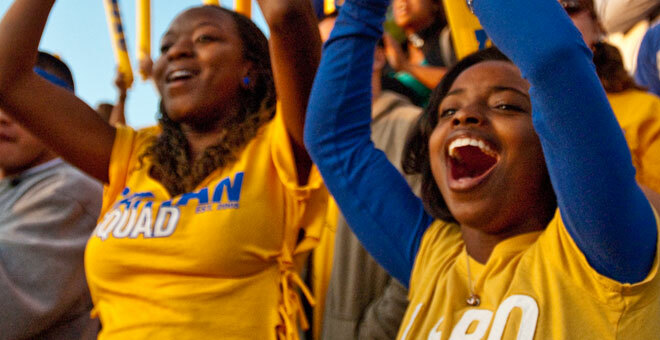 Students cheer on SJSU Spartan team at a home football game. 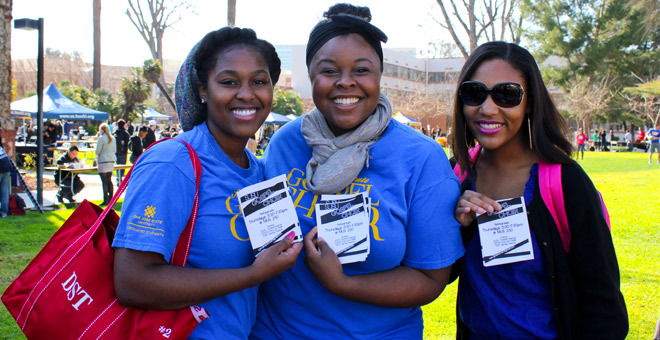 SJSU's Career Center has a number of job and internship opportunities for students in the Fall semester. For more information on the job and internship opportunities, click here. The Black Scholars webpage was created for students by students to provide a sense of space on campus. It also serves to connect students to resources, people and information across campus and the surrounding SJSU community which support students socially, culturally and academically as they navigate through college. Within the web pages are information on student organizations, scholarships, campus and community resources, events and programs, and more. This website is sponsored by MOSAIC Cross Cultural Center. on campus and meeting times. A list of on campus resources for students. A list of off-campus housing options and locations. Resources in the surrounding San Jose and South Bay Community. Information on opportunities for internships and scholarships. Calendar of events on campus and surrounding area.